Fall is in the air and it’s time to start thinking about decorating. 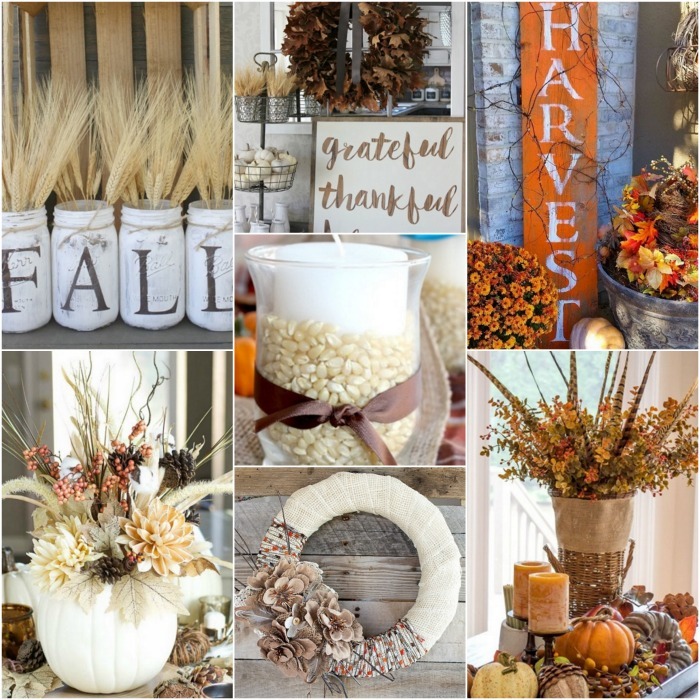 We have 25 DIY Fall decorating ideas you will love. These ideas are simple to make and won’t break the bank. 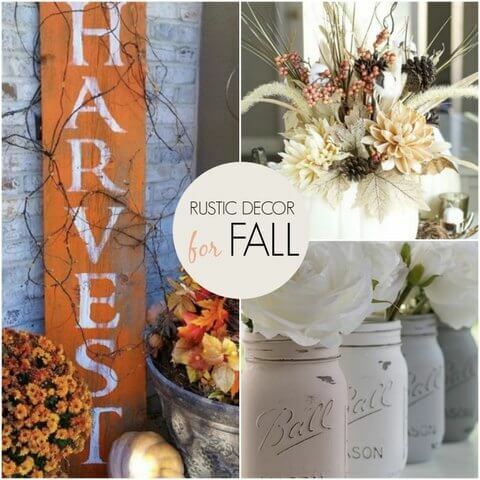 You are going to love these Rustic Fall Decor Ideas that are so easy to put together. Give them a try and make your home cozy for Fall! No need to spend tons of time and money because these ideas are simple and frugal. Shop your home first because you may just find several things you can use! I can’t believe fall is almost here! 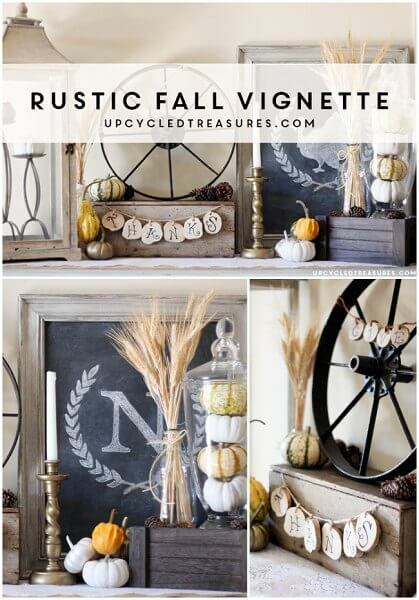 Rustic decor is so trendy, and I’m a sucker for rustic fall pieces. 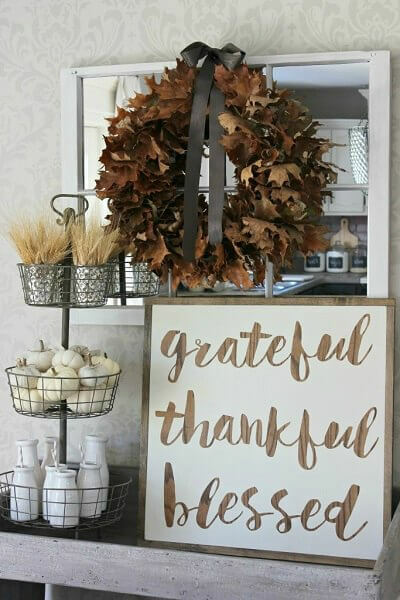 I love everything from the centerpieces, signs, and homey mantels. Rustic pieces are so versatile and perfect for fall. 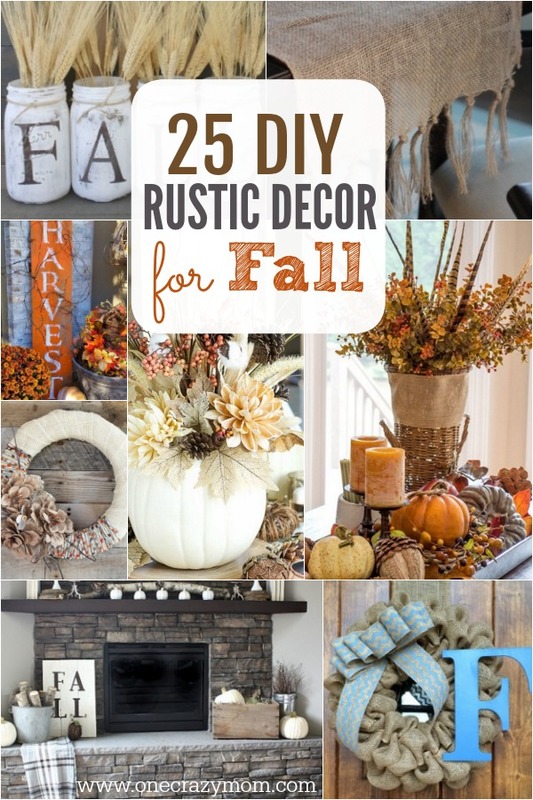 Here are 25 DIY rustic decor ideas to decorate your home that you will love. Even better, many of these use items you already have at home. You can even shop at your local thrift store to get some cool items too for decor. It’s always exciting because you never know what you might find. 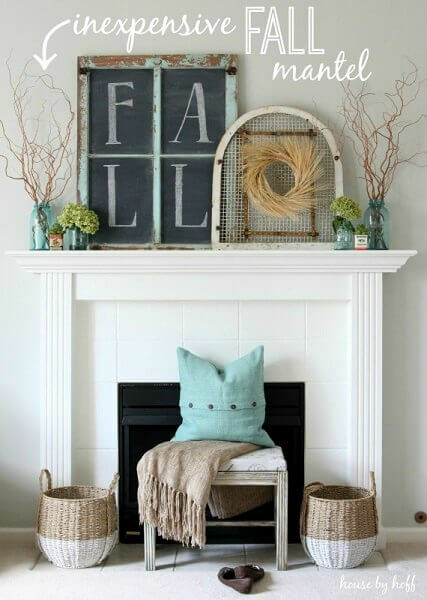 Let’s get started with these inexpensive fall decorating ideas! Grab your glue gun and get ready to make some fall decorations! There is something for everyone. These are simple to make and so festive the way they spell out “Fall”. 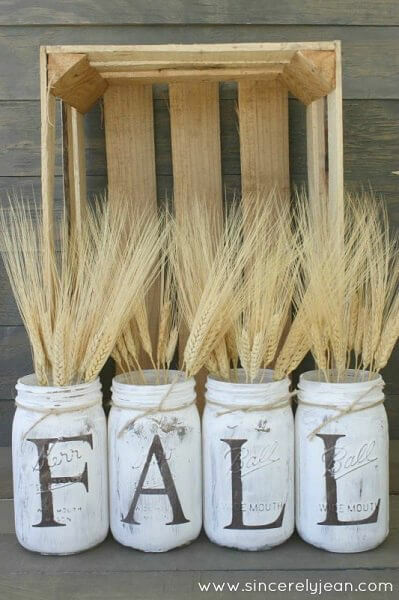 You can use whatever you have on hand- wheat, leaf branches and more to put inside the jars. There is something so serene and classic about a neutral mantle. Use earth tones to tie this look together. This is one of my all time favorite center pieces. 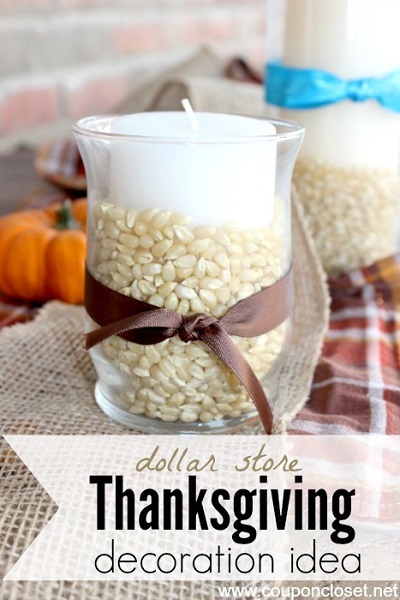 Use corn kernels to fill up a glass vase and top with a candle. Seriously, this can be accomplished for $5 or less! We love dollar tree fall decorating ideas. 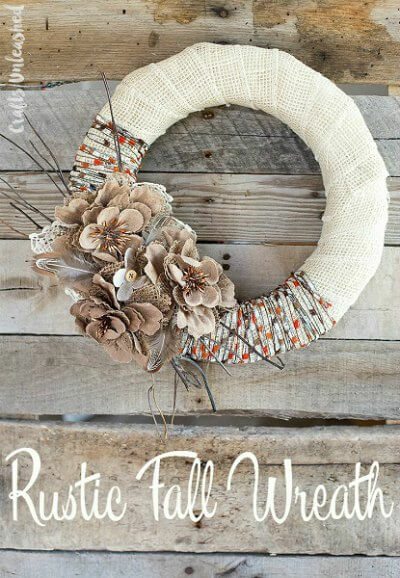 Use burlap and pretty flowers to turn a plain wreath into a rustic fall beauty! Hang this wreath on your front door or as a focal point over your mantle. 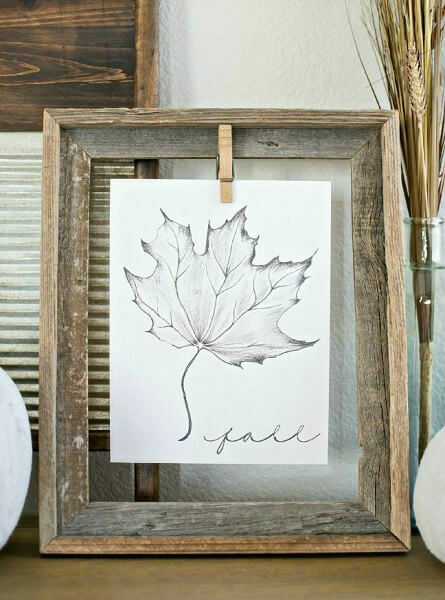 Get a free rustic fall printable here to turn into a stunning picture! Love this idea and it’s so frugal. 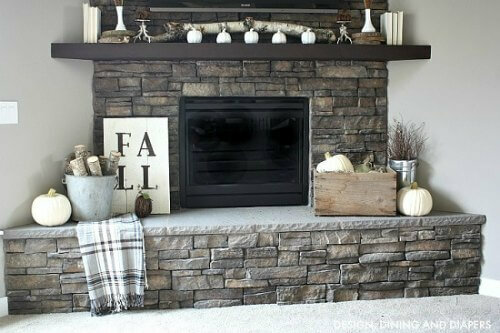 Shop your house and make this rustic fall mantle. Comfy throws, fluffy pillows, pumpkins, candles and more complete this look! 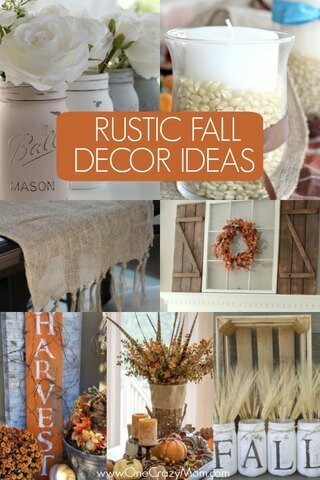 Use a burlap banner to tie this look together for Fall! 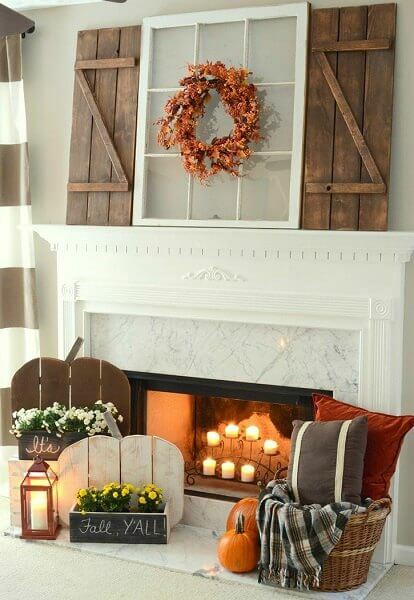 The mix of lanterns, candles, flowers and rustic decor make this the perfect mantle for the season. 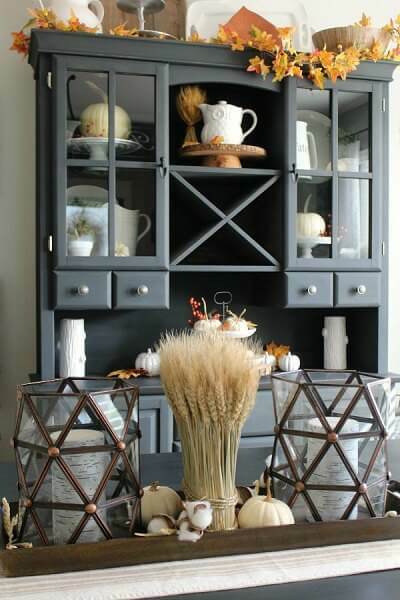 Decorate your hutch for Fall with these rustic ideas. I love the birch candles in the lantern style holders. Beautiful! 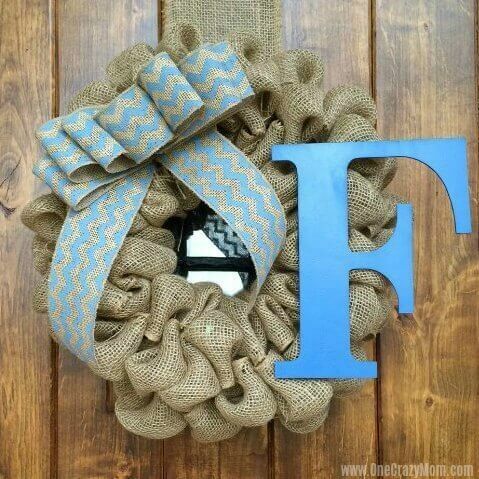 Make a wreath with burlap ribbon for less than $15! Add an inexpensive letter and paint it to match your decor to complete the look! 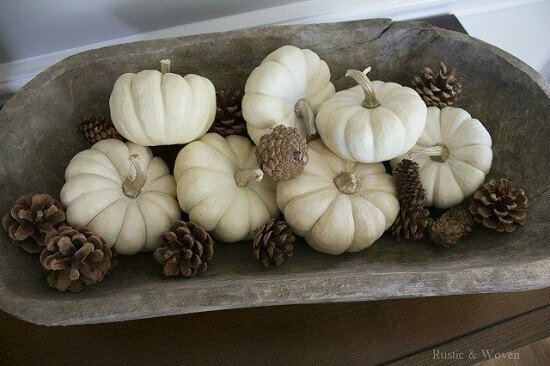 Fill an old wooden bowl or whatever you have around the house with miniature pumpkins and pine cones. Use what you have to make this centerpiece. This sign is a constant reminder of how blessed we all are and to be thankful. 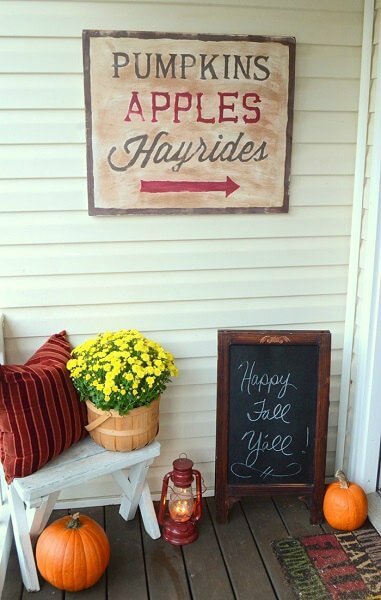 This is a great sign for Fall or even year round! Rustic signs are all the rage these days. Make your own for a fraction of the cost. Your front porch will be so inviting. Use a galvanized steel tray for a festive centerpiece on your table. Fill it with pumpkins, garland and whatever you have! Turn a pumpkin into a vase. 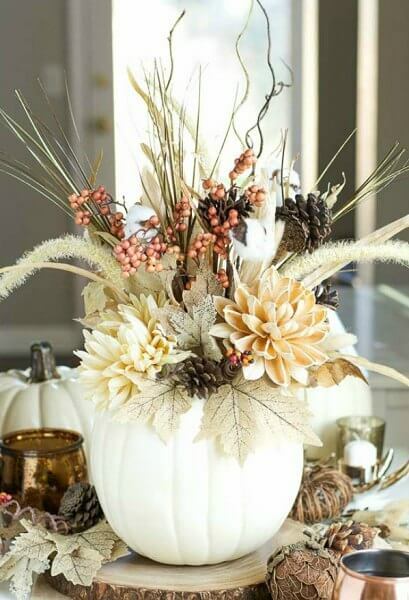 This white pumpkin is perfect for a neutral tablescape. It’s so pretty with a rustic fall bouquet. Complete this look with odds and ends from around the house. I love ideas that cost very little and use what you have! 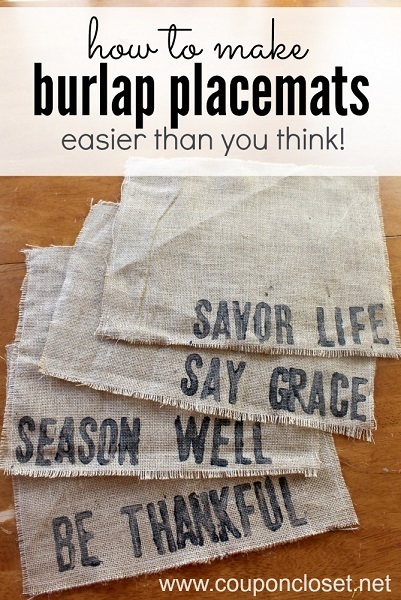 Make burlap placemats with inspirational quotes. Everyone will be encouraged while they eat to “be thankful”, “savor life” and more! 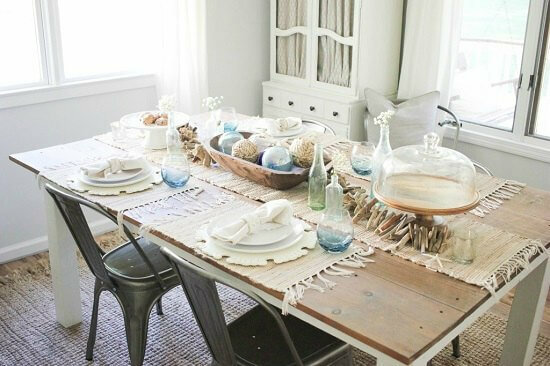 This idea is inexpensive but will make your table setting look so custom! 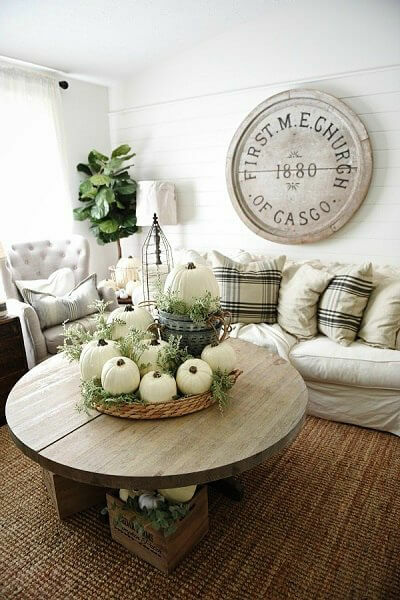 White pumpkins and neutral decor make this look complete. Use a rustic basket to hold everything. So pretty! 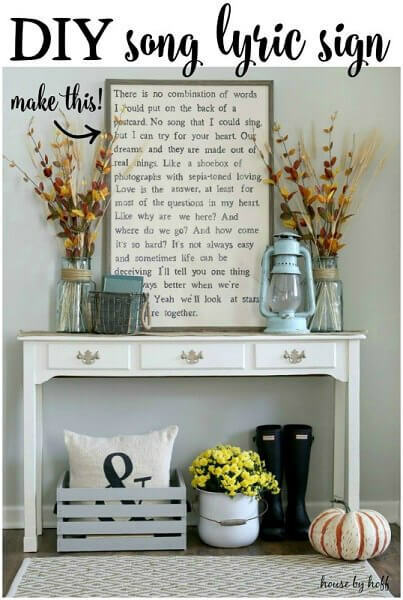 Music lovers will adore this lyric sign for Fall. It’s so pretty propped on a table or against a mantel. 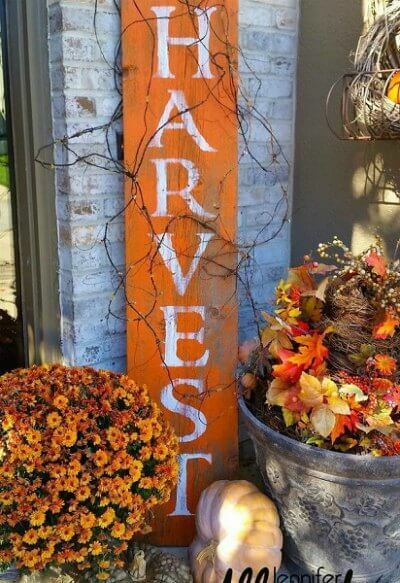 Turn old wood into a rustic Fall sign on your front porch. I love this because it’s not hard to make and so cute! 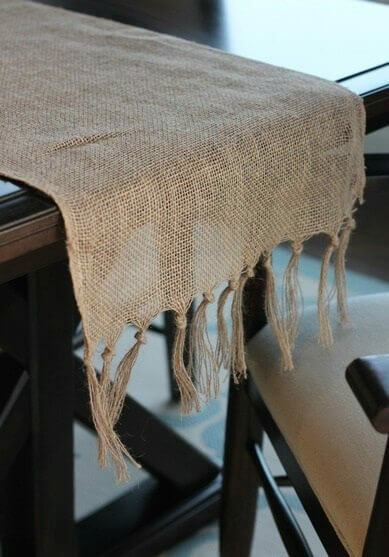 Use burlap to make this simple rustic table runner. 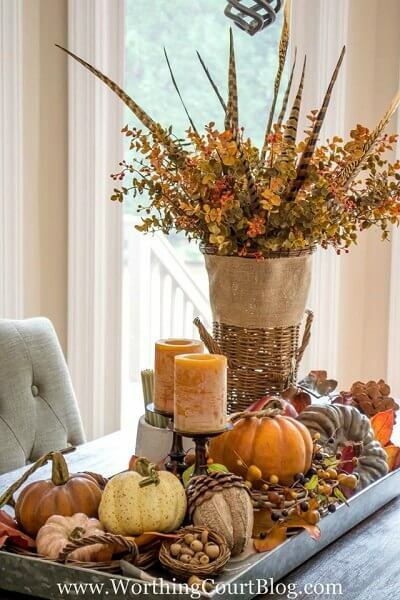 Burlap is perfect for a Fall table! Fall colors weave throughout this mantel perfect for Fall! The leaf garland makes it complete. It looks so put together but really this mantel took minimal time and money! Love ideas like this! 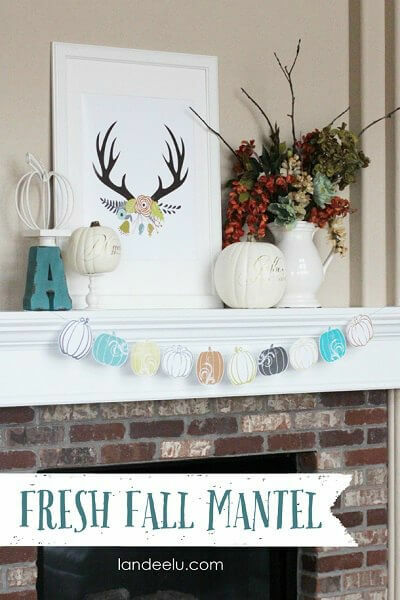 If you want a different look than the ordinary Fall colors, check out this fresh mantel for Fall! The pastels make a brilliant contrast against the clean white lines. Miniature pumpkins, wheat stalks and rustic candle holders are perfect for a Fall vignette. You can incorporate their ideas into what you already have at home to save time and money! 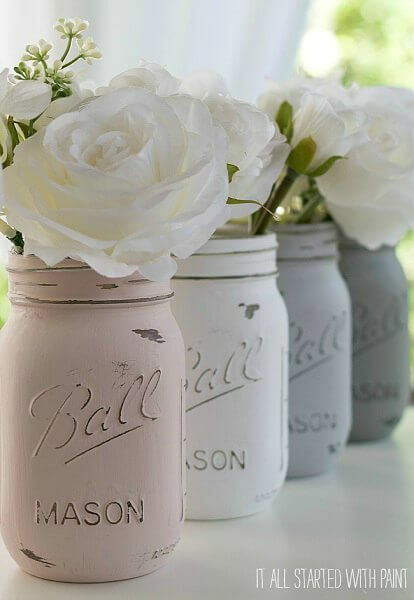 Distressed mason jars are so popular right now. These can be reused all year long for various seasons. I love these Fall decorations ideas! Let us know what you decide to make. DIY Fall crafts are so fun. 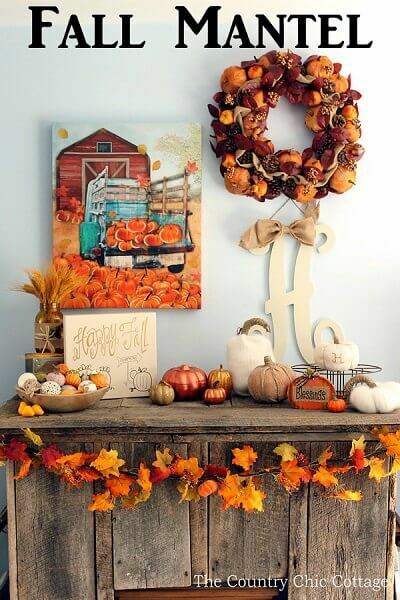 Decorating for fall on a budget is easy with these creative and gorgeous ideas for Fall. I can’t wait to incorporate several of these into my home. 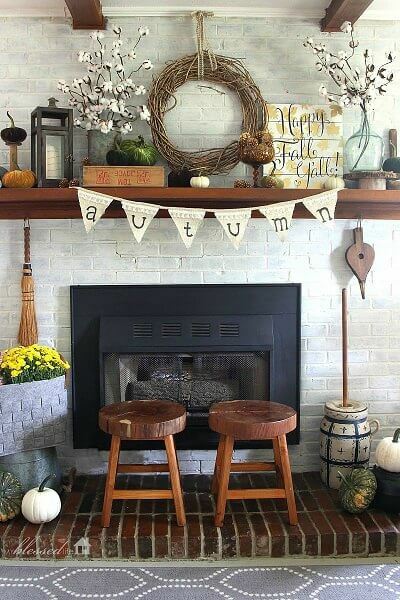 Whether you are searching for front porch fall decorating ideas or diy outdoor fall decor, there are tons of ideas to make your home ready for Fall! From your dining room to curb appeal, your home will be set! One of my favorite things to do each year is to make a focal point with mini pumpkins, corn husks, white pumpkins and more! I always put mums and pumpkins on the porch too. It just makes it seem like Fall once I do that! If you are like me, Fall also means Pumpkin everything! Anyone else? I love making pumpkin cookies , Pumpkin Bread and even pumpkin pancakes! It is perfect for Fall! You will make so many precious memories with your family. It is the simple things in life that we remember the most. From decorating to baking and more, there are so many wonderful traditions that you can do year after year. Plus, your home will be so festive! Keep it simple and just have a blast. It does not have to be perfect. We have 10 free fall activities for kids to enjoy this season as a family.